In January 1889, Louisa Collins, a 41-year-old mother of ten children, became the first woman hanged at Darlinghurst Gaol and the last woman hanged in New South Wales. Both of Louisa’s husbands died suddenly. The Crown was convinced that Louisa poisoned them with arsenic and, to the horror of many in the legal community, put her on trial an extraordinary four times in order to get a conviction. Louisa protested her innocence until the end. 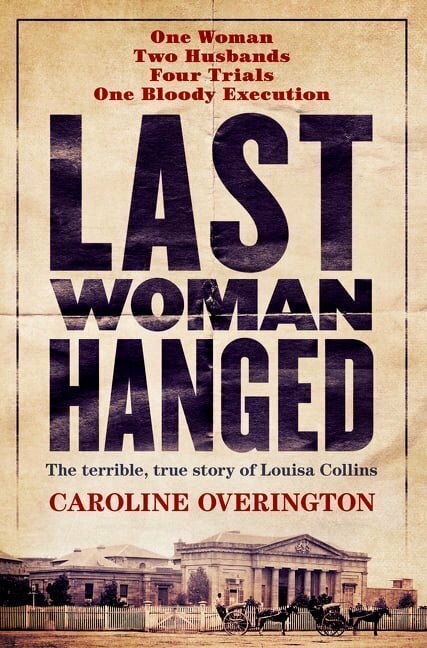 Now, in Last Woman Hanged, writer and journalist Caroline Overington delves into the archives to re-examine the original, forensic reports, court documents, judges notebooks, witness statements and police and gaol records, in an effort to discover the truth. Much of the evidence against Louisa was circumstantial. Some of the most important testimony was given by her only daughter, May, who was just 10-years-old when asked to take the stand. 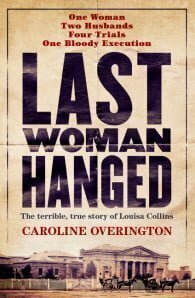 The historical context is also important: Louisa Collins was hanged at a time when women were in no sense equal under the law – except when it came to the gallows. Women could not vote or stand for parliament – or sit on juries. There were no female politicians and no women judges. Against this background, a small group of women rose up to try to save Louisa’s life, arguing that a legal system comprised only of men – male judges, all-male jury, male prosecutor, governor and Premier – could not with any integrity hang a woman. The tenacity of these women would not save Louisa but it would ultimately carry women from their homes all the way to Parliament House. Less than 15 years after Louisa was hanged, Australian women would become some of the first in the world to get the vote. They would take seats in State parliament, and in Canberra. They would become doctors, lawyers, judges, premiers – even the Prime Minister.